Morgan Schneiderlin is set to leave Manchester United, after failing to work his way into Jose Mourinho’s plans. Mourinho has reportedly made his mind up on the 26-year-old midfielder, and it doesn’t look good for the player. Schneiderlin has only played 5 minutes of Premier League football this season, as he continues nursing his way back to full fitness. However, according to The Sun, Mourinho would like to offload the player as quickly as possible, in order to make room and raise funds for a new player, most probably a defender. Manchester United’s midfield is already saturated with a number of world-class midfielders such as Paul Pogba, Ander Herrera, Michael Carrick and Marouane Fellaini, meaning that a place for Schneiderlin will always be hard to find. A United insider spoke to The Sun about Schneiderlin’s Manchester United situation. He was quoted as saying: “Morgan’s future is very uncertain at the club. He’s barely played a game this season. He has played against Fenerbahce and Northampton, but injuries among other things have stopped his progress. Schneiderlin joined Manchester United during the summer of 2015 for a staggering £24 million. 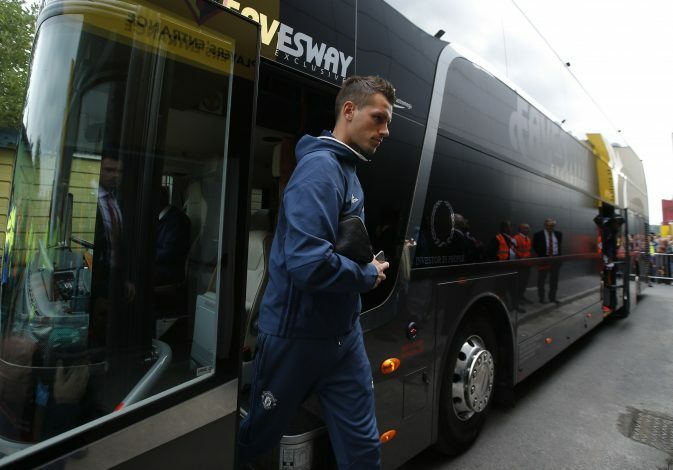 Initially, under Louis Van Gaal, Schneiderlin was assured of a first-team spot. He made 39 appearances under the Dutch manager last season, but has failed to impress Mourinho so far this season. Manchester United have endured a sticky start to the season, failing to win against rivals Manchester City, Liverpool, and Chelsea. The Red Devils were thumped 4-0 by Jose Mourinho’s former side, Chelsea, last Sunday. Mourinho’s defensive line was completely shattered by Chelsea’s attack. Jose will npw be hoping to earn back some respect on Wednesday, as his team lines up against Pep Guardiola’s Manchester City, after having already lost to the Blue side of Manchester once this season.